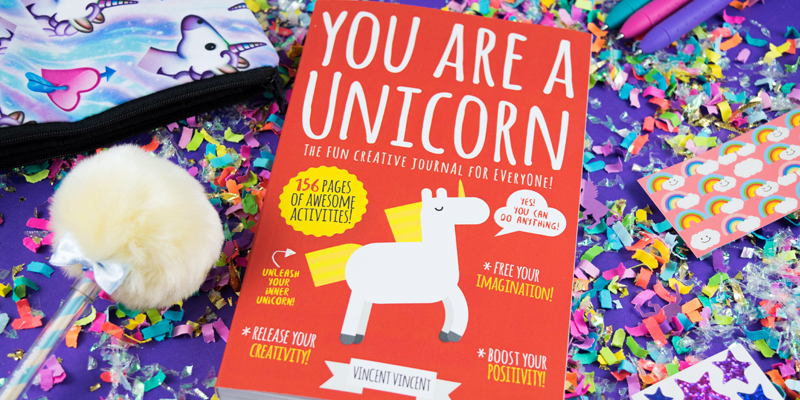 Embrace Your Inner Unicorn With This Magical You Are a Unicorn Journal | YAYOMG! 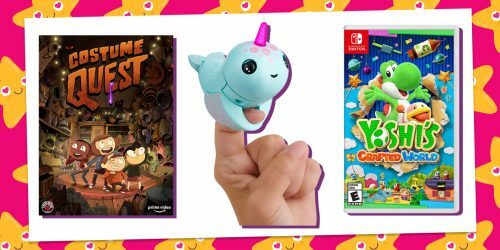 Between the pages of You Are a Unicorn you’ll find 156 pages filled with prompts that help you make fun lists, explore the depths of your imagination, and get your doodle on. 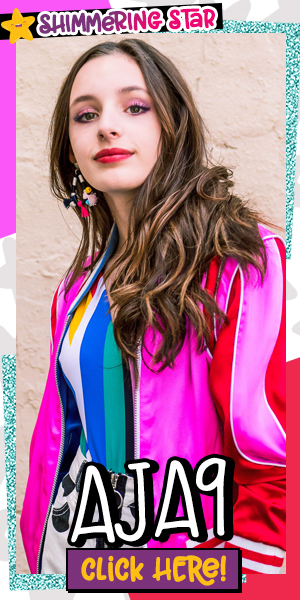 Since they’re printed on plain white pages, you’re able to go crazy with lots of colored pens, markers, stickers, glitter, and more. 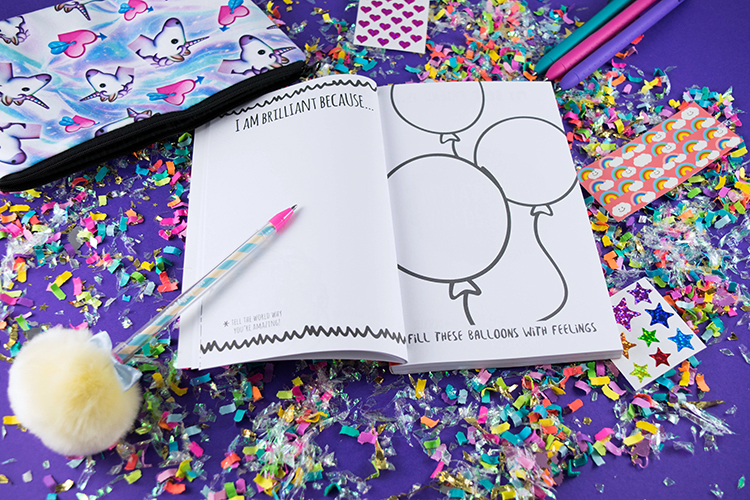 Embrace your inner unicorn in the very best way by decorating each and every page however you’d like. There’s even one called Fill Hole With Your Pet Peeves, which we like to do when we’re having a bad day. Writing down the things that annoy you and them scribbling them out is a great way to vent and to eliminate all those bad feels from your life. Pretty cool. 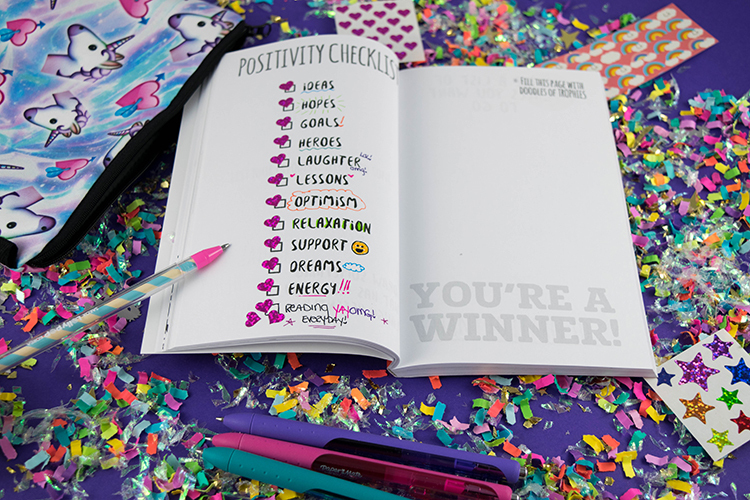 All the prompts in the book help you express yourself and when you’re done, you’ll have a great keepsake to look back on to see how you were feeling and what you were thinking. We recommend adding dates so you can look back and see how much you’ve changed and grown year after year. 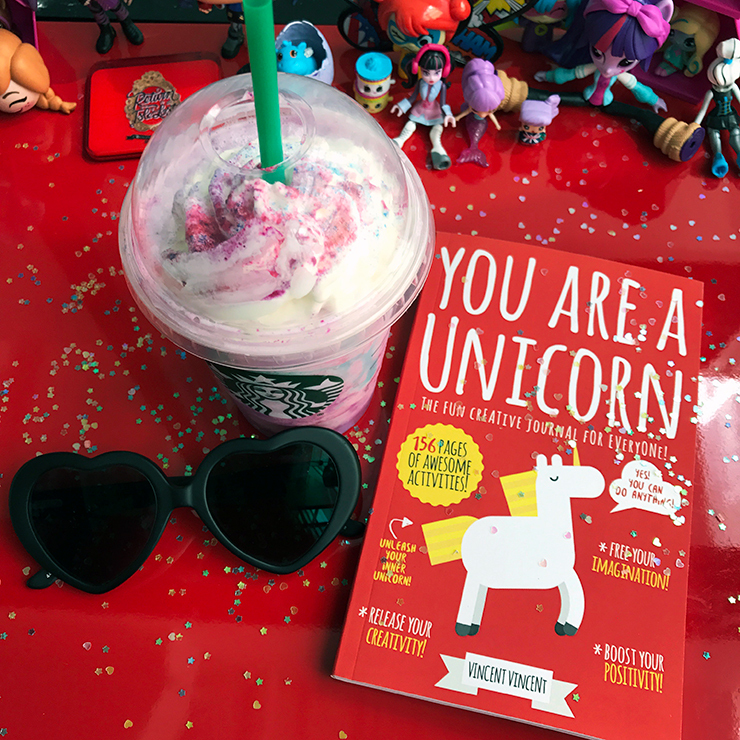 You might not be able to pair your You Are a Unicorn book with a Unicorn Frappuccino anymore, but we think journaling in this book pairs perfectly with rainbow socks, glitter pens, and a big bright smile on your face! To continue learning how to be the best unicorn you can be, you can follow @youareaunicornbook on Instagram. They’re always sharing a daily dose of positive quotes and interactive posts that totally compliment your new journal. Ready to pick one up? 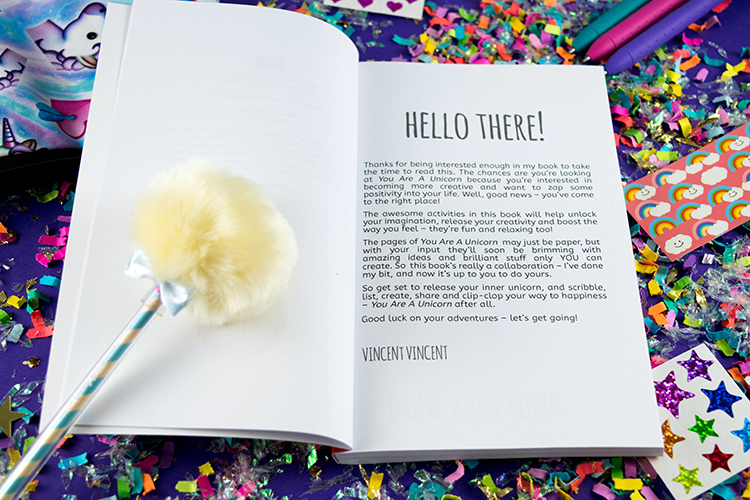 The You Are a Unicorn journal is now available on Amazon and it ships to the US and UK. 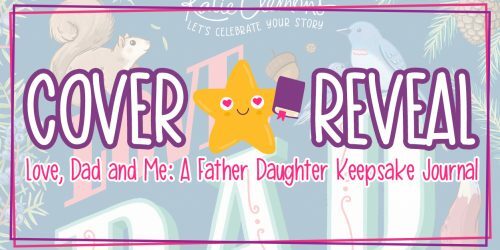 Once you fill up all the pages of this journal, try one of these other amazing creative journals and diaries!